The Arcade Building offers a beautiful office space for lease in San Pedro, CA. It is perfectly tailored to the businessperson who craves a tranquil environment. With such a relaxing, cultural experience during your work day, you’ll never want to leave the office! All of these office spaces are now available for lease, but they won’t be for long! 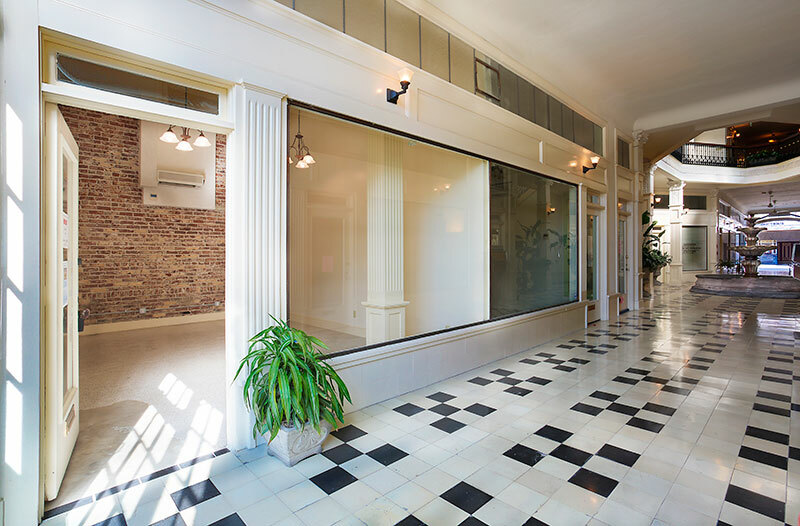 To meet the businesses that have already snagged their coveted spot in this beautiful historic Arcade Building, visit our Tenant Directory. If you are interested in learning about the history behind the building, check out our About Us page. The SPBID also develops and implements projects to benefit its stakeholders, including streetscape and alley lighting enhancement, beautification, and infrastructure remediation. As a member of a public business community, the networking opportunities found through the SPBID benefit not only the Arcade, but everyone associated with it. The Arcade Building is a well-known, well-respected, and involved part of the San Pedro community. The networking efforts we have made over the years allow our tenants to reap the benefits of our friendships and associations without having to start from square one. To learn more about becoming an Arcade Building tenant, contact us here.